Barack Obama is responding to insinuations that he is a covert Muslim worshipping in a liberal Africa-focused church. There are two emails in circulation capitalizing on the Muslim belief of Obama’s father and the atheism of his mother, insinuating that his attendance at a Christian church is a cover. The commitment of Trinity United Church of Christ in Chicago to Africa and the development of African American leaders is given as evidence of Obama’s racist attitudes. 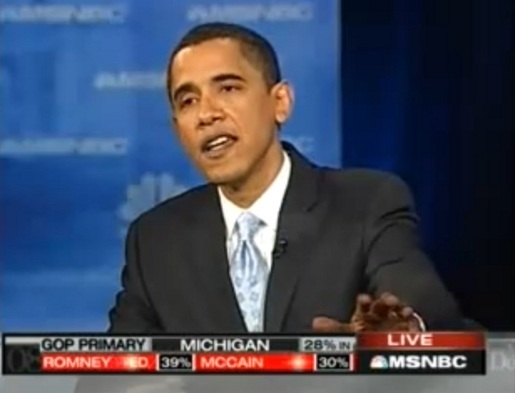 Barack Obama responds to the smears in response to a question during the Nevada debate. Jane Fisler Hoffman, a conference minister in the United Church of Christ who attends Trinity United Church of Christ in Chicago, explains some of the background to the congregation and the denomination. Of significance here is that a white woman is providing the backing. See articles on the emails at Snopes Urban Legends site and FactCheck.org.